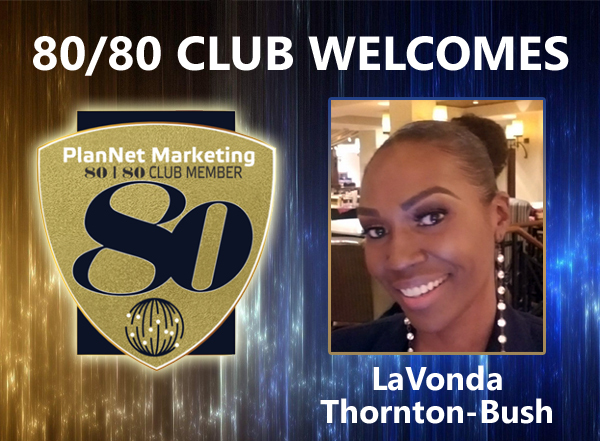 PlanNet Marketing is proud to announce that Three-Star Director, LaVonda Thornton-Bush has achieved 80/80 Club status! 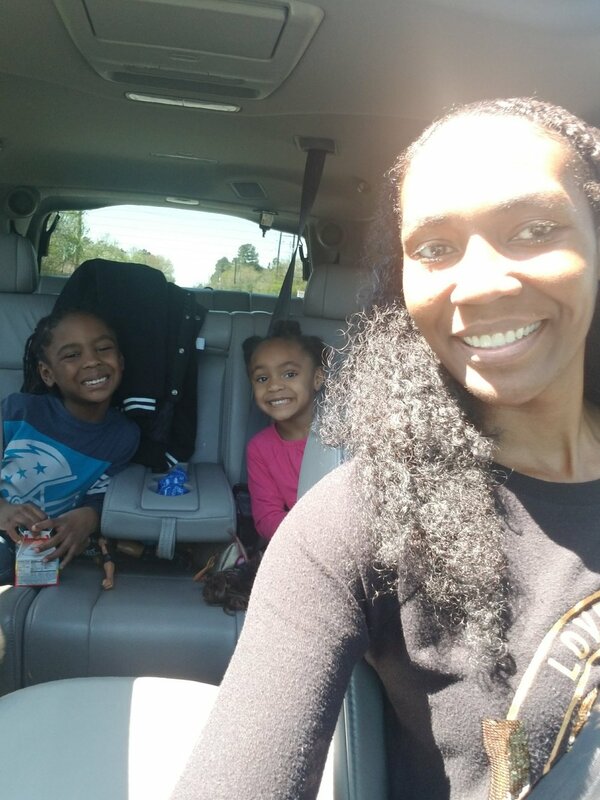 LaVonda says, “I am honored to have been chosen to share a brief testimony about this major accomplishment. Aside from being extremely competitive, I actually LOVE this amazing opportunity and I refuse to keep it to myself. I remember the feeling of excitement when I received a phone call from my personal sponsor, Four-Star Director Phillip Rollins. I keep that feeling in my heart and I make sure to share the opportunity with any and everyone I meet so they can have the same feeling. When you're told that you are paid to help people, it makes it even easier. 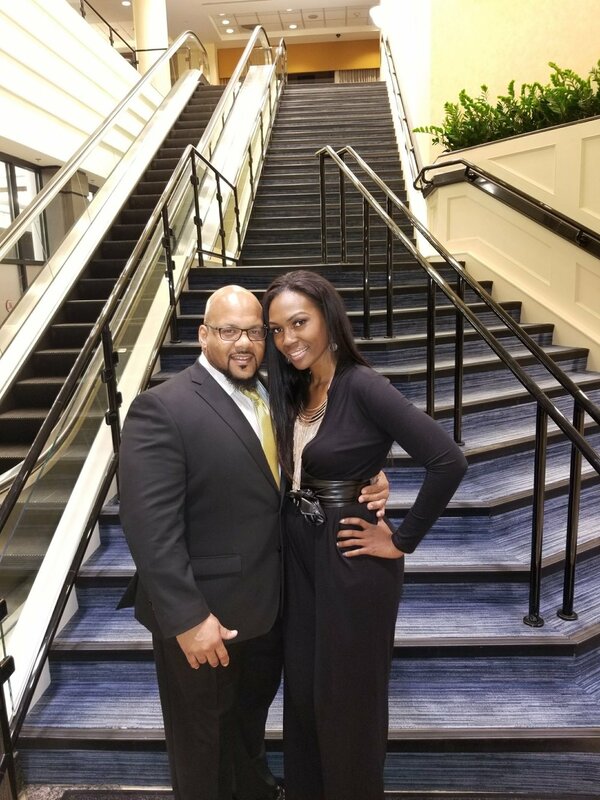 “This year I celebrated (yes - celebrated) TWO YEARS of being laid off from my six-figure corporate job. If it were not for PlanNet Marketing, I would have walked out of my office with my head hanging low, with tears rolling down my face, feeling defeated, as I had done in the previous years of layoffs. But thanks to an opportunity that started off as a part-time business, I practically RAN out of my office with excitement. I spend most of my time educating "employees" to keep their options open. To keep their jobs, like I did. To find a business that they love, like I did. To build their business on a part-time basis with integrity, like I did. So that if they are laid off like I was, they have the option to NEVER go back to another corporate job.